You don’t have to wait for quotes any longer. The new Xometry SOLIDWORKS Add-In gives you instant pricing and manufacturability feedback on your CAD file directly within SOLIDWORKS. 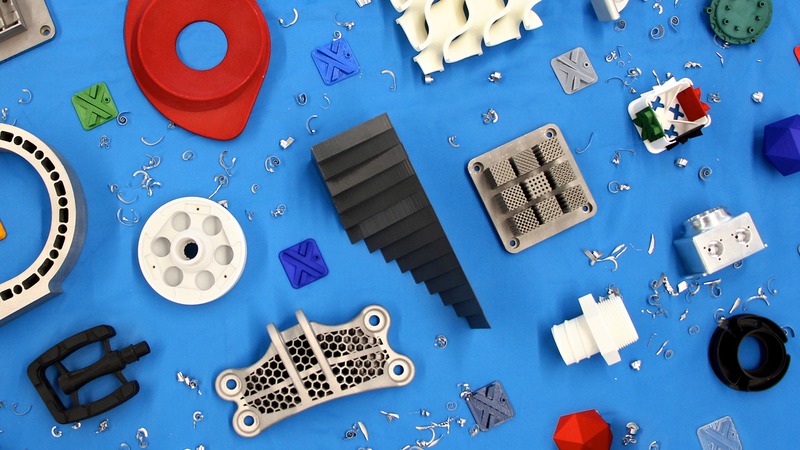 It’s dead simple to use and the handy “Production Guide: Designing Early for Custom Manufacturing” gives you all the tips on designing your parts for a variety of processes and materials. After you have the Add-in installed and you’re logged into Xometry, just open the part you want to have quoted. In the sidebar, click ‘Add part to quote’. In just a few seconds you’ll see an instant quote with cost, lead time and manufacturability. Not only do you get all the details for the applied material, but instant options and details on other possible materials and finishes. Based on this, the feedback provides warnings and recommendations if there are improvements that can be made. It doesn’t stop there though. A Features tab allows you to specify inserts, threaded/tapped holes, surface roughness and tolerances. A Finish tab allows a wide variety of plating and coating, and a Notes & Drawings tab is there to provide additional information. Since the Xometry add-in is right within SOLIDWORKS, it allows you to make changes and update the quote instantly. The Xometry add-in is the full featured, on-demand manufacturing tool that keeps you working instead of spending hours and days collecting bids. Want to see some real world products that Xometry brought to life? Avid SOLIDWORKS user, Mat Kyle, used Xometry to make beer infusers. Because, beer. Another inventor, Les Meadowcroft, used Xometry to make it easier to look in dog ears. If that’s your thing. College student Karel Bachand created a $20k luxury watch with Xometry. One for the wish list. Need on-demand manufacturing? Don’t sweat it. Get Xometry. Get to work.